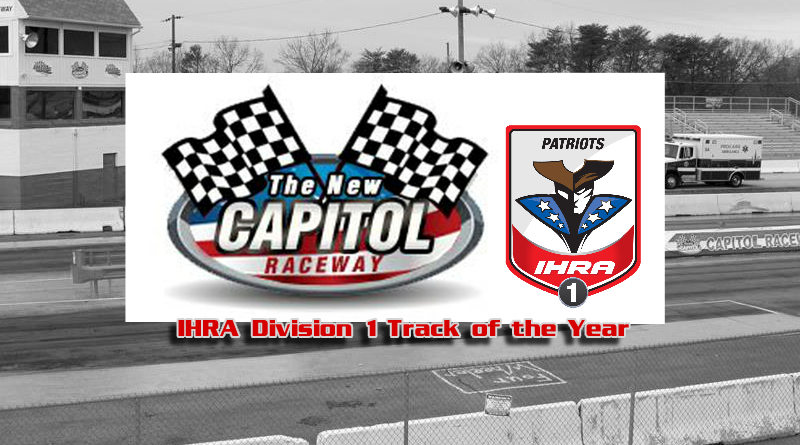 WEST PALM BEACH, Fla.- International Hot Rod Association (IHRA) member track Capitol Raceway, Gambrills, Md., has been named the Division 1 Track of the Year. Capitol Raceway has been one of the top drag strips in the country with many legendary names racing down the track such as Don Garlits, Don Prudhomme, Ronnie Sox, and more. The track was famous for its “King of Kings” Funny Car events. Funny Cars teams throughout the country would attend the race for a winner take all purse. Track owner Jim “Big Money” Bradshaw is always willing to try new approaches in the racing programs. Through that effort there has been considerable growth of participation in the IHRA Summit SuperSeries with racers at the track. DragChamp is drag race central for the latest IHRA bracket racing news and drag race results. Visit DragChamp daily for all your drag racing news online.